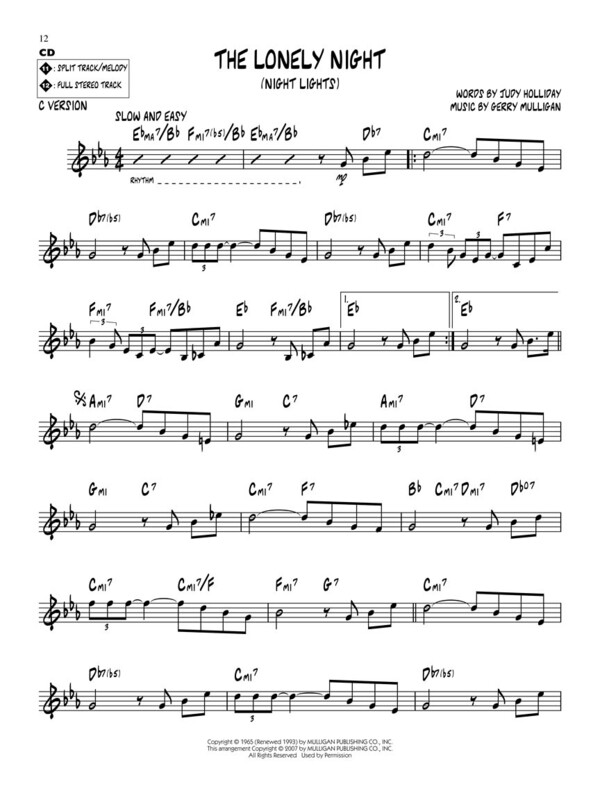 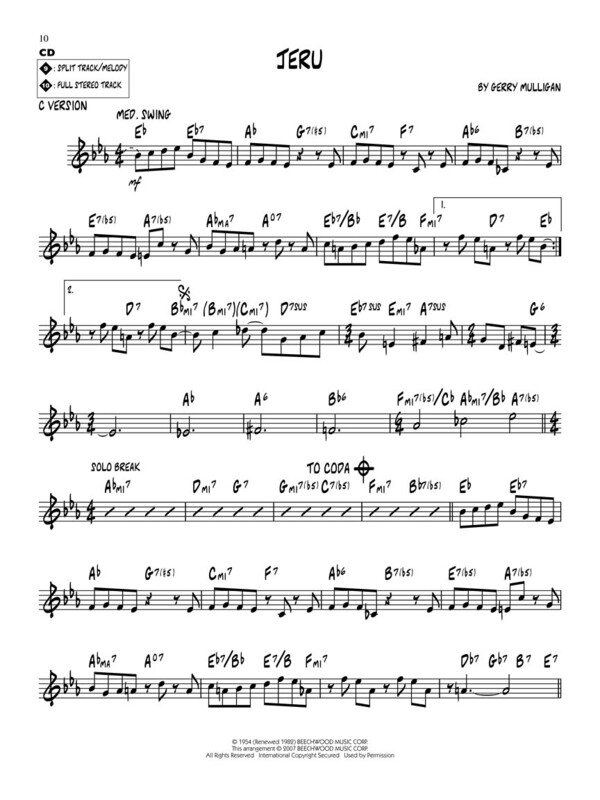 For use with all Bb; Eb; C and bass clef instruments; the Jazz Play-Along Series is the ultimate learning tool for all jazz musicians. 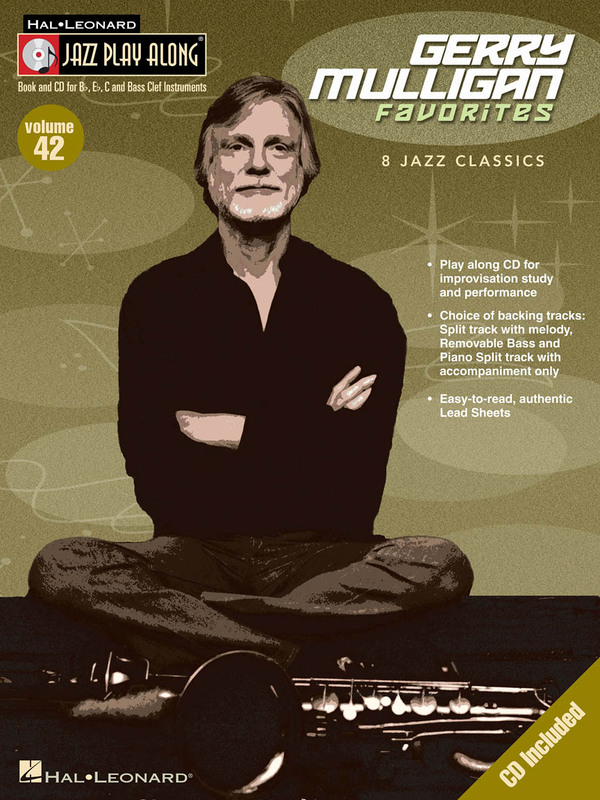 With musician-friendly lead sheets; melody cues and other split-track choices on the included CD; this first-of-its-kind package makes learning to play jazz easier than ever before. 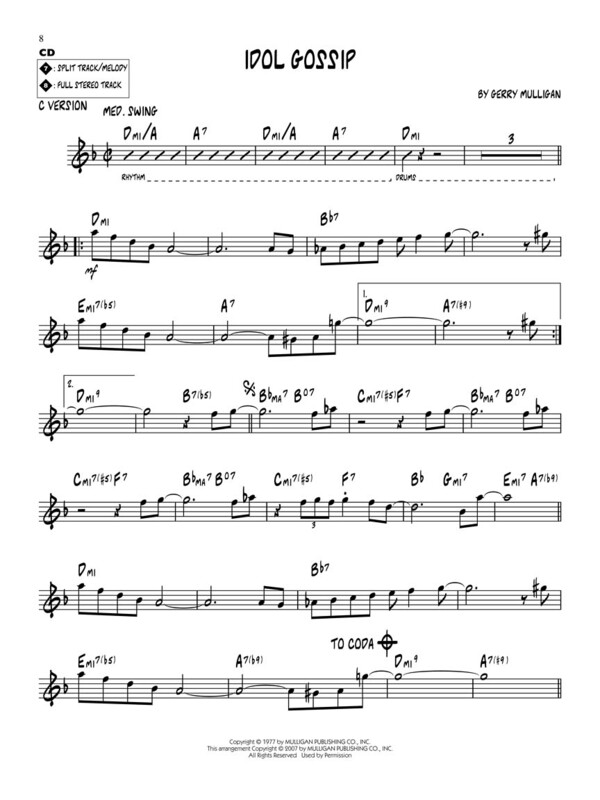 FOR STUDY; each tune includes a split track with: • Melody cue with proper style and inflection • Professional rhythm tracks • Choruses for soloing • Removable bass part • Removable piano part. 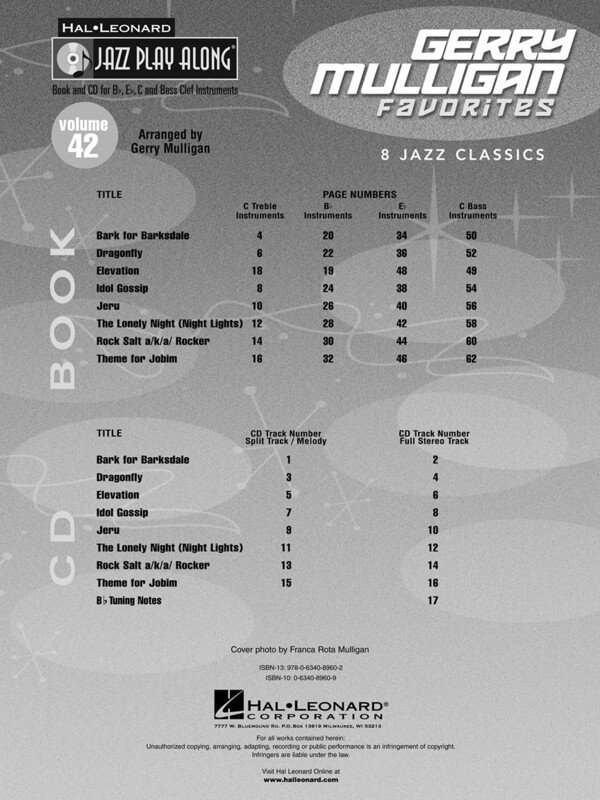 FOR PERFORMANCE; each tune also has: • An additional full stereo accompaniment track (no melody) • Additional choruses for soloing. 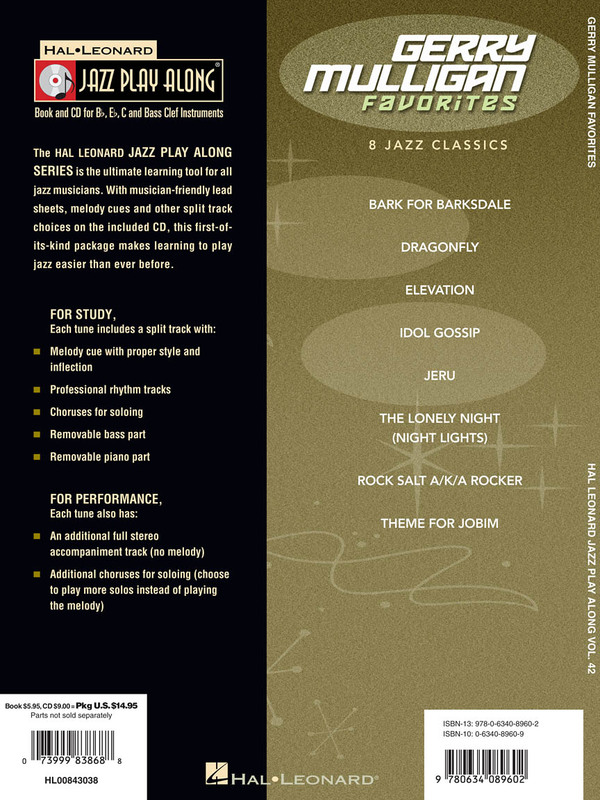 8 songs: Bark for Barksdale • Dragonfly • Elevation • Idol Gossip • Jeru • The Lonely Night (Night Lights) • Rock Salt a/k/a Rocker • Theme for Jobim.